This retreat will run from Friday 21 June at 7pm until Sunday 23 June at 2pm. Three days with walks of eight to ten miles through the beautiful countryside around Minsteracres. Every day starts with a reflection. You will need suitable walking boots and weatherproof clothing. A week-long singing workshop full of music, which invites us to look at the world and appreciate the beauty of God’s creation. Monique has conducted choirs for many years and has led a number of successful workshops at Minsteracres during the past 8 years. This retreat runs from Monday 29 July at 11am until Sunday 4 August at 2pm. A prayerful day out at Minsteracres with celebration of the Eucharist, Rosary procession through the grounds and Benediction. ‘I have set my rainbow in the clouds and it shall be a sign of the covenant between me and the earth.’ During this retreat we will look at the beatitudes and colour in terms of our spiritual and psychological growth and developments. The retreat will be held in silence with a daily introduction with time for reflection and questions. Treasa Ridge is a Presentation Sister with a background in teaching. She is also an experienced retreat director, psychotherapist and colour practitioner. This retreat runs from Friday 30 August at 6.30pm until Friday 6 September at 10am. This retreat is now fully booked. If you would still like your name to be included on a waiting list should a space become available, please contact us on 01434 673248 or email. 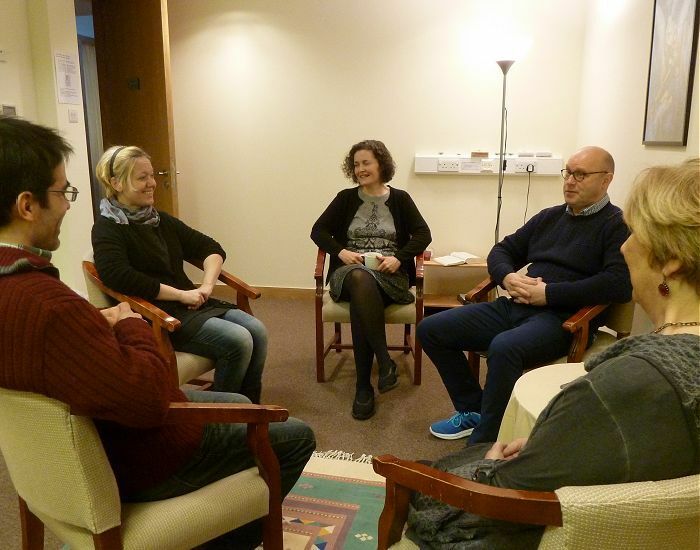 This retreat is held in silence and will be led by members of the Ignatian Spirituality Centre in Glasgow in collaboration with the team at Minsteracres. This day enables you to experience different ways of pray and gives you time for quiet personal prayer. Lunch, tea and coffee are provided. This retreat will take place on Wednesday 11 September from 10:00am until 4:00pm. This retreat will run from Friday 13 September at 7pm until Sunday 15 September at 2pm. A theological seminar exploring the heart of the Passionist Charism from several perspectives. The seminar will have a variety of presenters. It can be residential or day attendance.